You get to make the most out of the vertical space in your warehouse by using scaffolds to pile products on top of each other. This way, you won’t have to worry about where to store additional items during peak buying seasons since you can quickly put up this type of structure. Ringlock Scaffolding – This type is quick to install and can be used for a variety of needs. Its primary benefit is that it’s lightweight but can support heavy loads. This link provides an in-depth look at the different sizes of the product. Cuplock Scaffolding – Cuplock scaffolding also has the ability to carry heavy loads. It is made from galvanized steel and doesn’t need bolts for fastening horizontal parts. It is ideal for access or framework support. Kwikstage Scaffolding – Commonly used in the UK and Australia, this type of system scaffolding can be used for commercial and residential sites. It only has five parts, which make it easy to assemble and disassemble. Another way that this method works is by providing a way for your employees to be more efficient in handling your products. Scaffolding allows your workers to go to portions of the wall or ceiling accurately and put items where they should be placed, avoiding common problems in warehouses. Poor Layout – A poorly constructed facility can harm your profits. If you don’t maximize floor and vertical spaces for your products, then you’ll be losing out on a substantial income unless you do something about it. 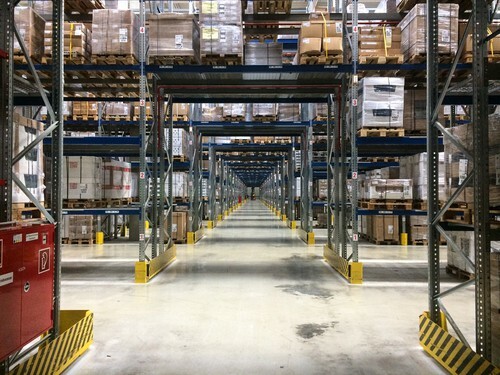 Inaccurate Inventory – Accuracy is vital in your operations. You must maintain proper stock levels and eliminate obsolete inventory to avoid additional expenses that this issue entails. Redundant Processes – A lot of people used to handle a product before it can be released from the warehouse and sent to the customer. However, this is still a problem with today’s stockrooms. You can streamline the processes through automation in inventory and other operating sections. Ladders are unsafe to use by workers, especially when they’re carrying heavy loads. Scaffolding eliminates the need for these steps which don’t have a sturdy platform and are put up at an angle. These factors play a significant role in the balance of your employees, and can lead to accidents when the tool is not appropriately placed. Stay Alert – There are always risks involved in any job. You must remind your employees to be aware of their surroundings and practice safe habits. Have Regular Breaks – This ties closely with being alert in the workplace since most accidents and injuries occur when a person is tired and burnt out. Having breaks regularly without compromising their output can help them stay awake and alert. Use Tools and Machines Appropriately – Train your employees on the proper handling of tools and machines. This way, they know how to operate and care for them. Remind them never to take shortcuts since this often leads to workplace mishaps. Familiarize Emergency Exits – Post maps of emergency exits in prominent areas of the warehouse to guide them during urgent situations. You can also conduct drills to help them be familiar with what they have to do in times of crises. Report Hazards to Supervisors – Your workers need to understand the importance of communicating with their supervisors, especially if they find unsafe conditions in the warehouse. Wear Proper Safety Equipment – Hard hats, gloves, and face masks should be mandatory for your workers to protect them from work-related injuries. Scaffolds are beneficial for your warehouse to maximize vertical space. With this, you can store additional products so that you can cater to your customers’ demands, especially during peak buying seasons. This system also allows your workers to put your items in the appropriate places while ensuring their protection.